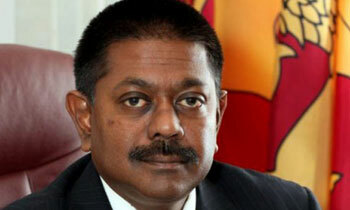 Colombo Fort Magistrate Lanka Jayaratne today re-issued the open warrant against former Sri Lankan Ambassador to the USA, Jaliya Wickramasuriya in the case of alleged misappropriation of USD 132,000 of State funds in the process of purchasing a building for the Sri Lankan Embassy in Washington DC, USA. The former Ambassador is currently not appearing for the hearings of the Magisterial Inquiry claiming he was not in the country. Mr Wickramasuriya was allowed to travel abroad following sureties given by his wife and sister-in-law earlier. Many ambassadors are on the arrest list. Whats the matter? Very soon, it will not be necessary when MS joins with MR.